Here you will find the Small and Midsize Luxury Car sales leaders in Canada for January 2018. Each month we compile the Large Luxury SUV sales data and reports for North American markets and analyze it to create the best selling list below. January’s best-selling small luxury car in Canada was the Mercedes-Benz C-Class, with the BMW 3-Series taking third place behind the Audi A4. Below the Germans, the Acura TLX takes fourth ahead of another BMW, the 4-Series, before the Infiniti Q50, which shoots into fifth place with a January more in line with 2014-2016’s Canadian sales, after its sales dropped below 100 this time last year. 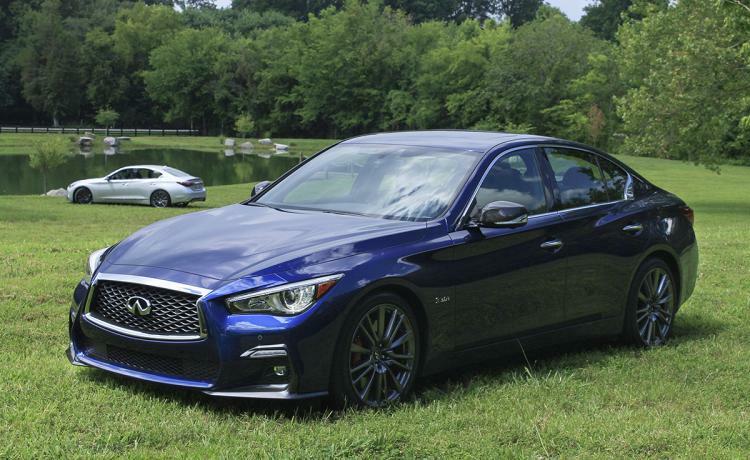 Despite standout growth for the Infiniti Q50, BMW 4-Series, Audi A5 and strong upticks for the Infiniti Q60 and Jaguar XE, substantial drops in sales elsewhere in the entry-level luxury car market in Canada – notably in the top-three – mean the segment as a whole’s volume shrunk by 12.2% year-on-year. It was a different story for the mid-sized luxury car market. Sales here are up 30% on last January, with the Mercedes-Benz E-Class and CLS-Class leading the pack with 67.1% year-on-year growth. The BMW 5-Series joins it at the top of the table, its growth showing fanatical improvement over last January.